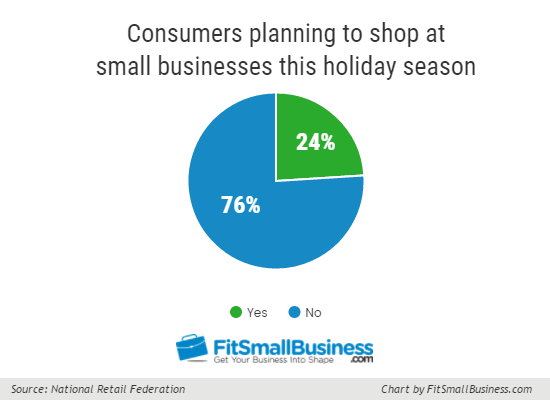 At Fit Small Business, we analyzed data from our own study plus findings from a national retail association to determine the best way for small businesses to take advantage of the holiday spending season. Many consumers plan on “shopping small” this season and purchasing gifts and other holiday items at local businesses, and there are multiple ways that you can boost your business’ bottom line. Overall, it seems that small businesses are in a great position to generate additional revenues this holiday season. Read on to find out more. This holiday season is projected to be the biggest in terms of consumer spending. According to the National Retail Federation (NRF), holiday shoppers are expected to spend by as much as $682 billion dollars on gifts this year, which is up 4% from 2016. This is good news for business, but we have even better news. Our research reveals that many consumers plan to shop and spend money at small businesses this holiday season. According to our research, 1 out of 4 shoppers look to shop small this holiday season. Our results coincide with the findings of the NRF, which determined that a quarter of the shopping that will occur this holiday season is expected to take place at small and local establishments. This means that small business owners stand to earn a large percentage of the billions that will be spent. Small businesses have plenty of advantages over big businesses, but what are the main driving factors that get people to visit a local store? In our study of U.S. consumers, we found that the reason that draws most shoppers to local businesses is to “support” local businesses (50%), with convenience of the store coming in second (42%). Launch marketing campaigns where supporting local businesses is the major theme. Highlight the benefits and conveniences of shopping small like support to the local economy. Encourage other small business owners to send the same message. With these tips, you call out to consumers who are ready to buy from local businesses like yours. If you need more ideas for marketing to your customers, check out our article on small business marketing ideas. 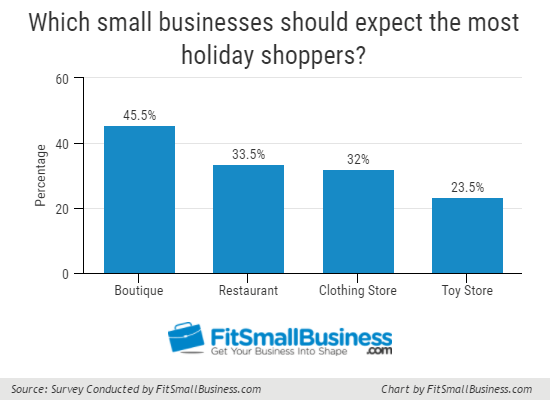 Which Small Businesses Fare Best During the Holiday Season? According to our survey, shoppers are most likely to buy holiday presents from local boutiques and restaurants/food sellers, and least likely to purchase presents from a local toy store. A positive takeaway from our survey for small business owners is that most categories ranked highly among their target demographic. For example, almost half (48%) of shoppers ages 18-24 reported that they would spend at a local media store (e.g. books, movies, video games). Boutiques ranked highest among women ages 45-54, and men are more likely than women to shop at a local sporting goods store. The results from our survey suggest that small business owners should keep their target demographic in mind if they want to maximize spending in their stores over the holidays. If you haven’t tried it already, Facebook ads are a great way to advertise to a targeted audience and build up buzz about holiday promotions. 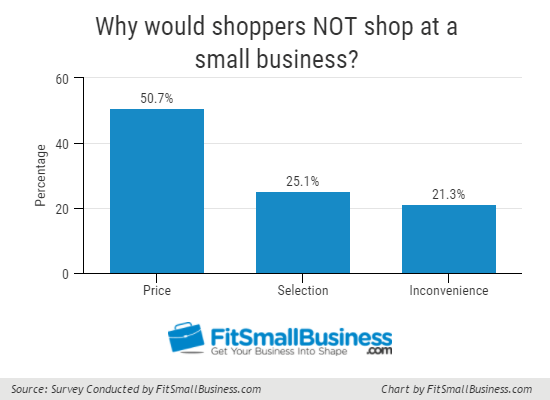 Why Would a Consumer Not Shop at a Small Business? According to our survey, 51% of consumers cited price as the reason why they would not shop at a local store, with 38% citing this as the only reason they would not shop small. However, research revealed that 48% of shoppers would buy a present at a small business even if they could find it online or at a chain store for cheaper. Selection came in a distant second, with 25% saying this would deter them. While it’s tempting to offers discounts and coupons to compete against big retailers, that’s not always possible with a small business budget. Fortunately, there’s a significant portion of the market that wants to buy from you even if your products are a bit more expensive. Focus on reaching out to this segment of the consumer population, and highlight your product quality, the benefits of shopping small, the more personal shopping experience that small retailers offer. 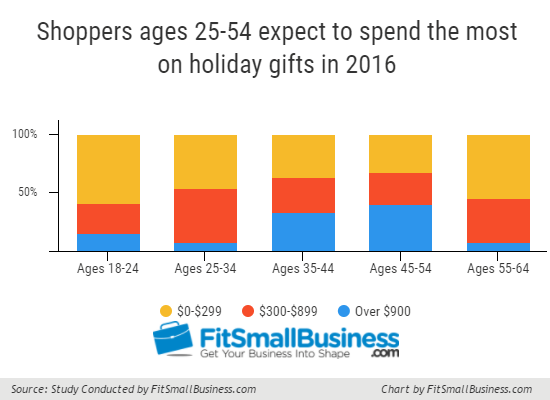 According to our survey, 70% of shoppers ages 25-54 expect to spend $300 or more on holiday gifts this year. Compare this to ages 18-24, where 80% expect to pay less than $300. The survey results reiterate the importance of knowing your demographics. If your target customer base is 25 and above, consider coming up with packages and bundles which are more expensive. For a younger customer base, offer less expensive, individual items. A perk of being a small business is that you don’t have to go through a bunch of red tape to get something done. Take advantage of this by staying flexible this holiday season. If you notice a product selling fast, place it at the front of the store. If one promotion is driving more holiday sales than another, concentrate on the one that works. By shifting quickly and being agile, you will have a leg up over bigger slower moving companies. 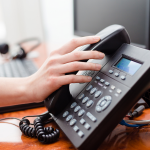 This season you should focus on the qualities that set you apart, whether that be amazing customer service, or your connections within the community. Play into the fact that you’re local by advertising the people who work at your store or by sponsoring a neighborhood event. You also don’t need to offer big discounts to compete on price. Be creative. For example, are you offering free gift wrapping? That highlights your customer service and helps customers save some money. 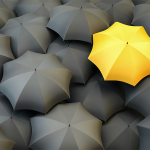 Take advantage of your small selection by being the best in your particular niche. For example, if you own a cheese shop, make sure all of your employees are knowledgeable about the product. This will give your store an added benefit over your average grocery store, as people will want to come in to learn more about the product they are buying. The holiday season is great for businesses, especially with projected holiday spending close to 700 billion dollars. You may think that small businesses are only going to get a tiny portion of this amount. 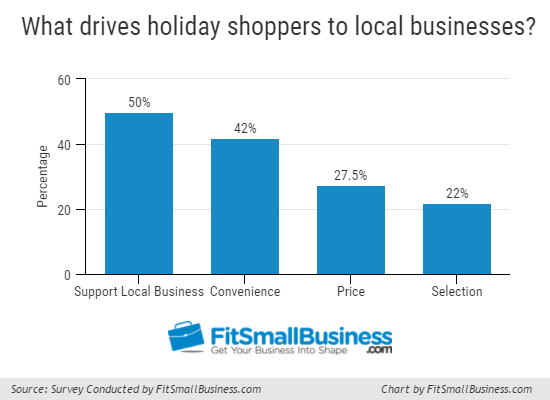 However, with 1 in 4 shoppers planning to shop small, and 50% of consumers wanting to support local businesses, your small business stands to gain a high profit over the holiday season.